Falling in love is fun and exciting – when you are mortal. But what is the true meaning of love and passion if you live forever? This game presents some of the coolest features yet! It has 9 winning lines which you can play both right to left and left to right. 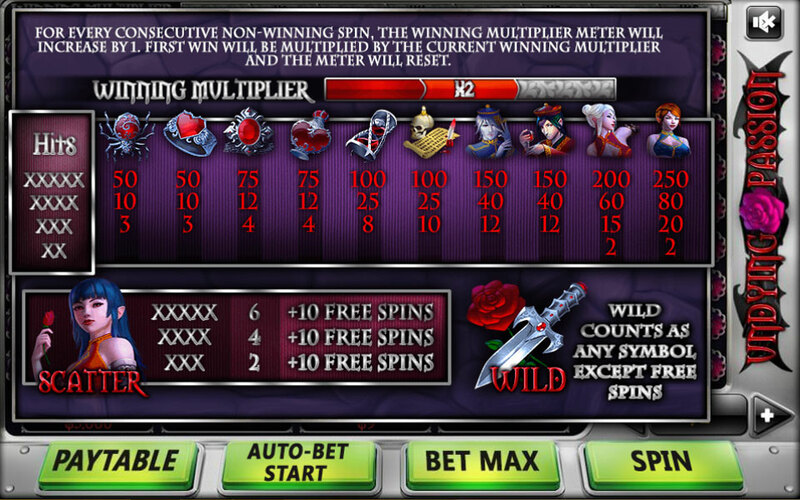 Feature number two you should get familiar with is winning multiplier – this feature will multiply your first win after every non-win round up to 16 times!! 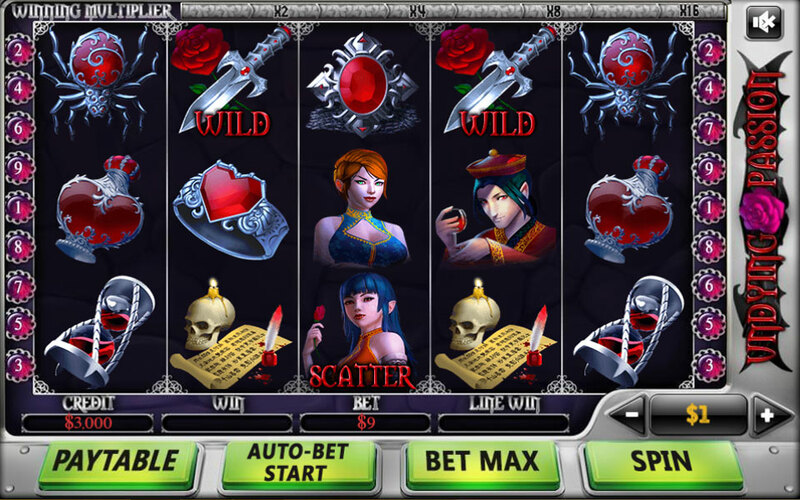 Last but not least the Scatter bonus - By receiving 2 or more, you will be granted with 10 free spins!